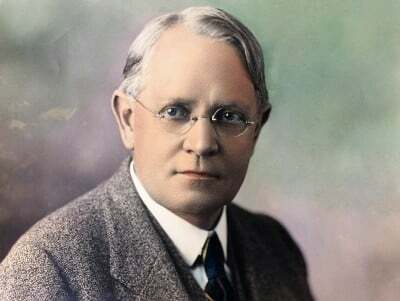 Until I began researching Arthur C. Pillsbury, my grandfather, I knew very little about Dr. Ernest Sargent Pillsbury, also my grandfather. Dad told me stories about his Dad, who he also continued to refer to as 'Uncle'. But he said nothing about the man who was genetically his male parent. Dad was young at the time his parents were killed in the auto accident of September 4, 1911. But they had much in common. Both were raised by parents who came from strong transcendentalist roots. As brothers two years apart in age, they shared values as well as day-to-day experiences. Both worked diligently and both viewed the truth as ascertainable through the methods of scientific inquiry and blythly ignored specious argumenta based on 'authority'. The family appears to have become skeptical of such assertions which were unsupported by facts very early. It is well to remember their mother, Dr. Harriet, was a very early woman physician and the descendant of nine of the survivors of the Salem Witch Craft Trials. Most people do not realize the assertion that 'witchcraft' had taken place was debunked in 1711 when the families of victims and survivors sued Salem, MA for damages and won. In the history of persecution of witches this is the only time those accused prevailed. The photographic work on the bacilli could have been done by Dr. Ernest's younger brother, Arthur. By which I mean, he could have built the still camera. 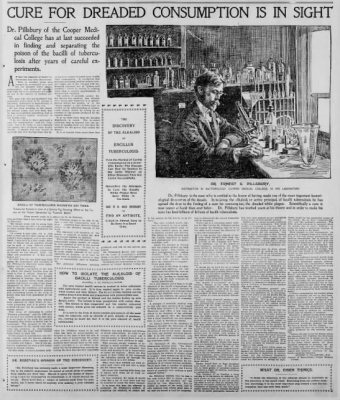 The article below was a full page appearing in The San Francisco Call, 05 Jun 1898, Sun, Page 18. 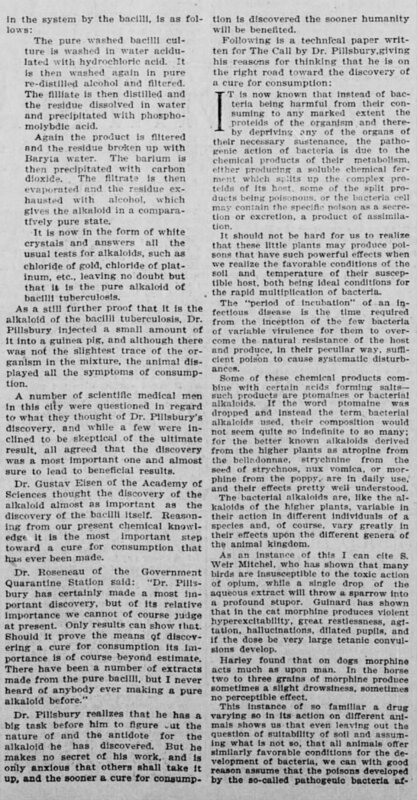 Dr. Ernest S. Pillsbury made a discovery and published, not in professional journal but in the paper. Shocking. The issue was not whether or not he was correct, evidently, but one of challenging those in charge. I wanted you to see the article as it appeared, but I had to settle for disassembling it so it could be read in parts. Since the article appears in several segments this was possible. Below is the layout of the article. The Right side is below. 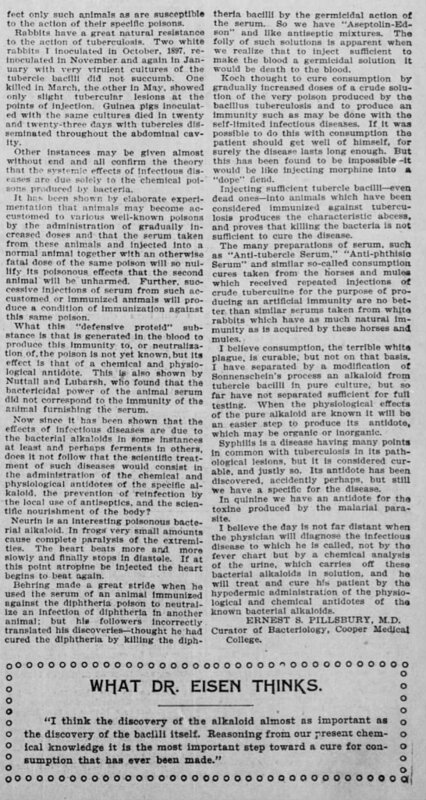 This article appeared two days later, on June 7th, 1898. This is an illustration of the kind of academic freedom normal to institutions of long standing. It is generally the case that the most significant discoveries come relatively early in the career of a scientist. 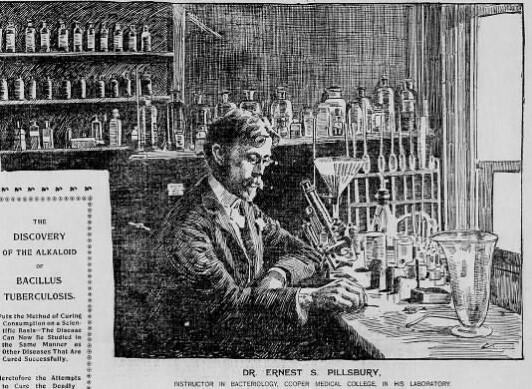 Dr. Pillsbury was a scientist. 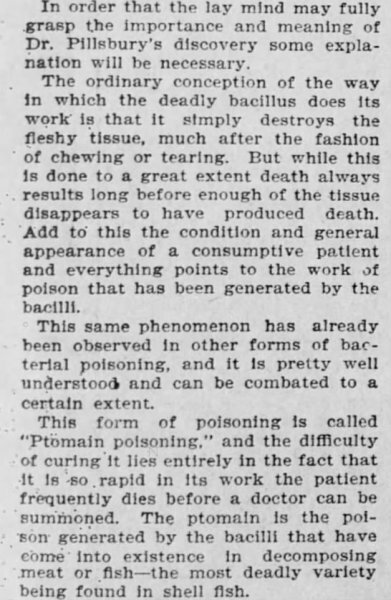 At this point in time no one in the world knew what bacilli or any microscopic form looked like when it was not dead. A microscope required the specimen be so to be examined. As it is true it is necessary to see how processes work while they are working so it is true depending on what you can see when they are not working is not good science. The person who would solve this problem probably built the camera which took the photo you see, Arthur C. Pillsbury. 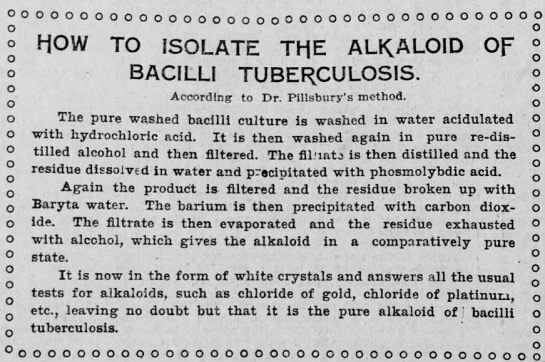 This was probably accomplished either while he was home from the Yukon in the winter of 1898 or earlier when Dr. Pillsbury began his career in medicine.